What do you do if you want to put your sales flier on your site, but you want it to look like the sales flier and not some clickable link? 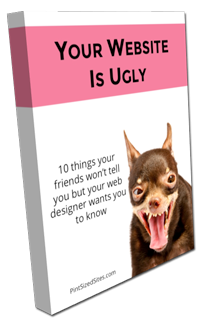 You’ve spent a lot of time and/or money crafting a beautiful sales flier. You’ve got it saved as an Adobe .pdf file that people can download and print. But you want the actual information and the graphics to show up on the website along with that link. It’s easy to do this using Google Docs Viewer. I’m going to walk you through the process, step by step. 1 – Edit or Add the page where you want your pdf file to be posted. 2 – Click the “Add Media” button at the top of the Edit window. Upload your pdf file. 4 – Open a new browser window or tab and go to Google Docs Viewer. 5 – Paste the document URL in the “Enter a document URL below to generate a link to view it” box. 7 – Copy the code snippet from the box “For an embedded viewer, use this HTML tag instead:” It will look a little weird, but it should include the beginning <iframe> and the ending </iframe> code. 8 – Go to your WordPress page where you are editing the page. Click on the “Text” tab in the upper right corner of your editing box. You might see some strange looking code here. This is the html code for the page. Don’t mess with it. 9 – Go to the bottom of the text and paste the code snippet. 10 – Click Update or Publish. Note, if all you do is preview the changes, you won’t see the pdf in the preview. That’s normal behavior.